We provide the ultimate in ease and convenience when it comes to frozen pipes. Because we know how cold it can get here in Kitchener and Waterloo, we provide emergency and regular frozen pipe services. We know the feeling of waking up and having no hot water, or having frozen pipes burst. Don't hesitate to contact us when something like this happens. We are ready to go for such water issues, and will relieve the situation in a timely and professional manner. 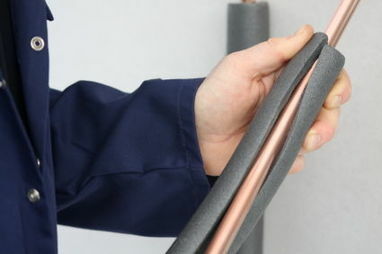 We make sure pipes are insulated and other exposed lines are fully protected from the winter cold. When a frozen water pipe bursts, the results can be disastrous. We are fully equipped to solve the problem, and provide assistance with clean up. With older homes, this tends to be more of a risk than with a new construction. Give us a call and we will be on our way in a jiffy. 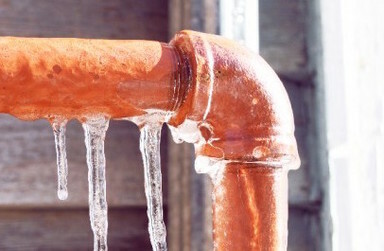 When frozen water pipes hinder your daily activities, allow us to fix your plumbing problem. Our experts will come in, and diagnose the situation. We help save our homeowner’s sprinkler systems and more from frozen water pipes. You can trust our experience and workmanship. We have over 60 years of combined experience, and work diligently and swiftly to solve frozen water pipe problems. With our great staff, we make sure that these problems don’t happen again, and can make regular inspections before winter hits to ensure your pipes are fully insulated and protected. We also offer helpful hints and tips like keeping your hose and other outdoor lines covered when the temperature drops. While we know problems still occur, you can call our emergency services team when frozen lines are interrupting your life. Water problems are the worst, and we’re here to answer all your questions and concerns. Having a frozen water pipe, and other potential dangers are things that we deal with all the time when it comes to winter plumbing issues. Because we use state of the art equipment and our experts are fully aware of these plumbing issues, you know you’re hiring the right plumbing company in Kitchener. Don’t leave it to other plumbing services. When it comes to frozen water pipes, you want dependable, reliable, and experienced professionals coming to the rescue. We provide the ultimate in ease and convenience when it comes to frozen pipes. Because we know how cold it can get here in Waterloo and Kitchener, we provide the best emergency and regular frozen pipe services. We know the bad feeling of waking up and having no hot water, or having frozen pipes burst. Call us today at 226-400-6015 or simply fill out the form at the top of the page, and we can give you a free estimate. We offer our clients convenience and affordable pricing for all services including leaking faucet and toilet repairs. You can trust that our prices will be fair and competitive for the Kitchener/Waterloo area. We’re happy to come and relieve you of your frozen water pipes, and look forward to serving you!